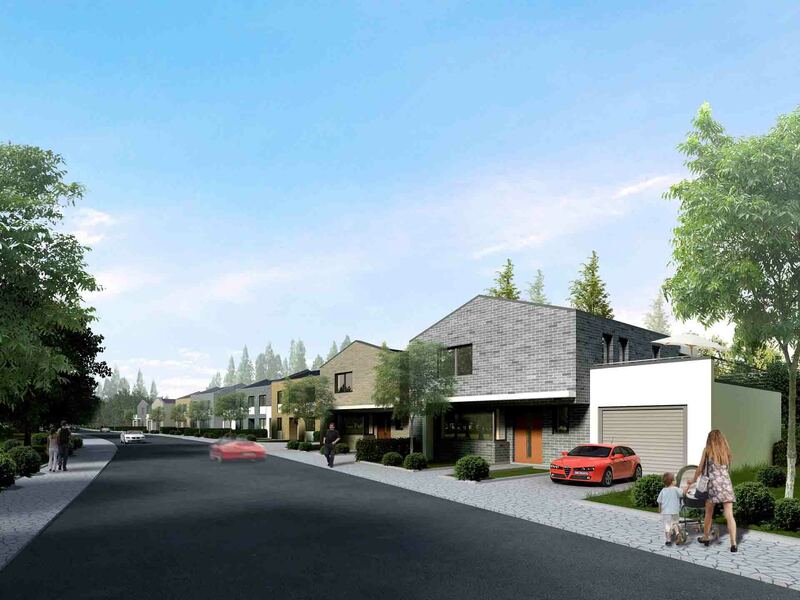 Planning permission, works notification, plans for private individuals, cooperation with architects, builders, property developers and project supervisors. 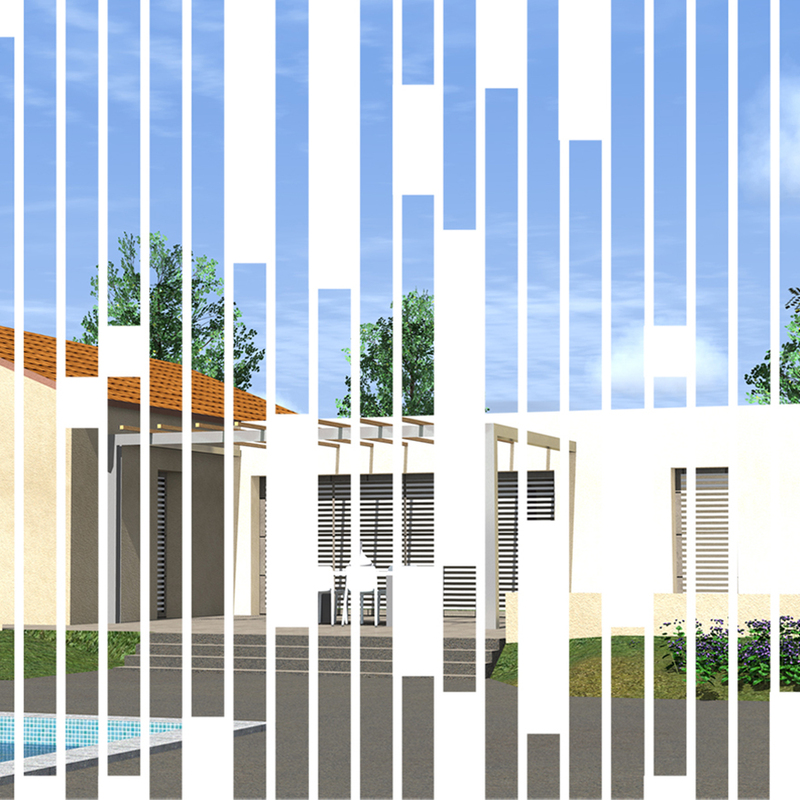 - Create 3D-views and graphic insertion of the building in the landscape. - The study of the project within legal obligations such as : norms concerning disabled persons’ access, public access buildings, thermic regulations, and global legislation regulating constructions. 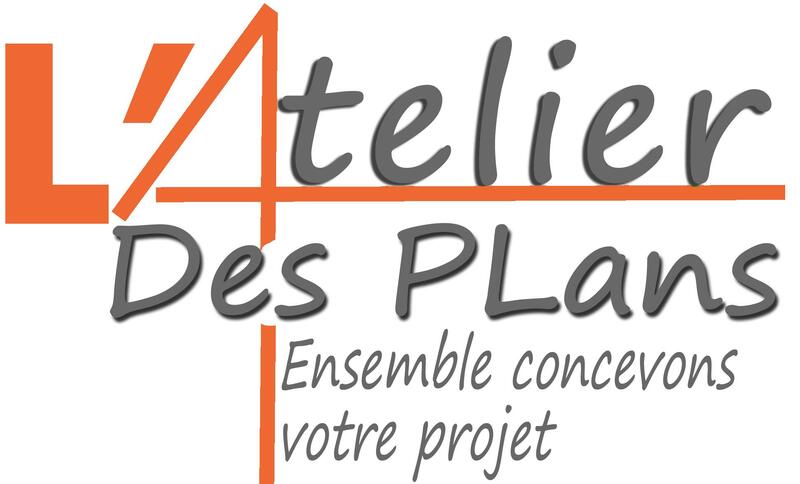 Producing plans is not part of your job, L’Atelier des Plans takes care of them ! 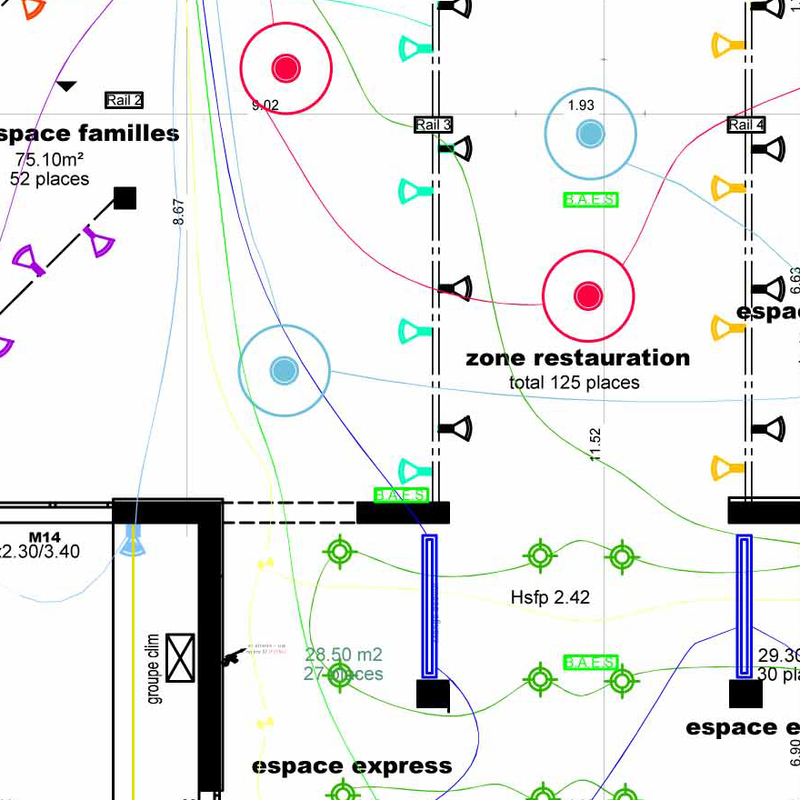 I can produce call of trend plans, as well as preliminary drafts or building site plans. All these services are provided in short delays with competitive prices. 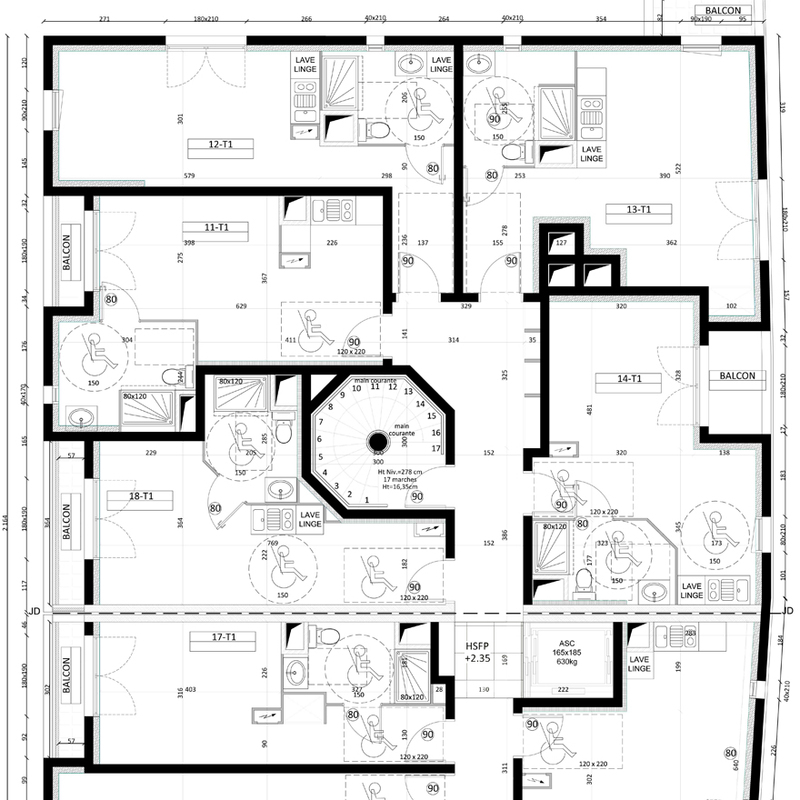 L'Atelier des Plans can help all the way through your project, from its conceiving to the administrative documents’ deposit, such as works notification, planning permission, demolition permission. Having passed the first and second cycles exams in architecture, acquired in the Tolbiac and la Villette architecture schools in Paris, I then worked over 15 years in the building business, as a draughtswoman and as an account manager. 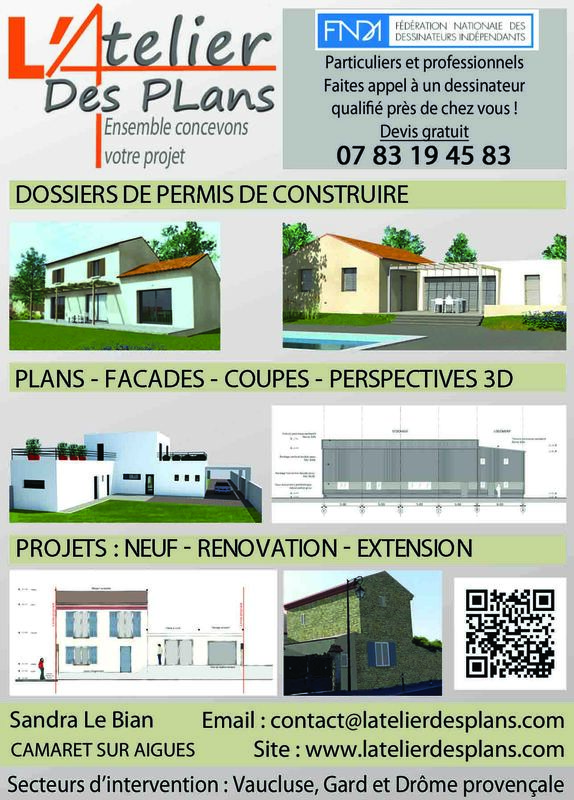 In 2014, I started my own business, as a freelance draughtswoman, based in Camaret sur Aigues, in the Rhone Valley, north of Avignon. I am a member of the FNDI (National Federation of Independant building Designers). My aim is to help you define your project and produce it’s plans, during all the necessary stages of it’s accomplishment. Guaranteing a professional and personalized help, whatever the project. - files produced by an experienced professional, who is insured for any hazards in processing. You want to know more ? You can contact me by filling this form.